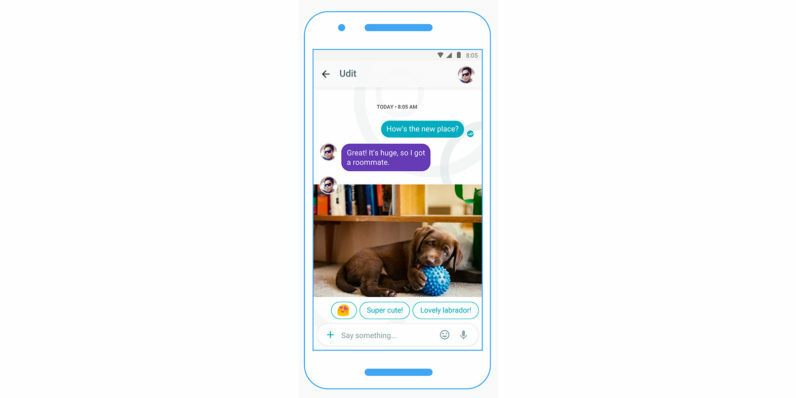 Following its demo at May’s I/O conference, Google’s AI-powered messaging app finally launched yesterday. I took Allo for a spin and found that it has some neat tricks up its sleeve, like smart replies and Google Assistant for surfacing info from around the Web in your conversations. That being said, it’s not head-and-shoulders above other messaging apps and it’s awfully late to the game: How will Google dethrone the likes of WhatsApp, Messenger, Line and WeChat? When Google first demonstrated Allo’s capabilities at I/O, it said that the app would store messages transiently rather than indefinitely. Now that it’s launched, it stores messages by default until you delete them. The only way you can have a truly private conversation is by starting an incognito chat, which is encrypted end-to-end. Google said that it made this change to its storage method in order to facilitate better predictions for replies. Unfortunately, that comes at the cost of storing messages for which access can be requested by government and law enforcement agencies. That means that if you value your privacy, you’re better off using something like Signal, Telegram or WhatsApp. I don’t want to have to choose between privacy and intelligent replies, but in this age of constant surveillance, I’ll go with the former – unless Google can figure out a better way to conjure predictions. Currently, Allo lets you share pictures (with annotations), video and audio recordings. I’d like to be able to beam across other kinds of files, like documents and music. Without that, I’m forced to switch apps when I need to share other types of content with my contacts. Allo could also do a better job of handling links shared in chats. It lets you play YouTube videos within the app, but it’d be great if it could also support things like SoundCloud audio, Google Play apps, Spotify playlists and tweets. Sure, other messaging tools aren’t much better at this, but one rarely gets ahead by simply following the herd. Like other apps that rely on your phone number to identify you, Allo only works with one device at a time. That’s such a bother, for a number of reasons. If I lose my phone, I’ll have to wait until I deactivate my SIM and get another card before I can use Allo again. What’s more likely – and in my opinion, equally annoying – is that if I’ve left my phone to charge in one room, I can’t simply reply to messages from the tablet I’m using in another room. Similarly, it’d be nice to see a desktop or Web-based app for Allo; having to switch between my mouse and keyboard to my phone to reply to messages is so 2012. I noted in my story about Allo’s launch that the only way Allo will succeed is if Google makes it ubiquitous. People are most likely to stick with the messaging service most of their contacts are on; if Allo is only popular among tech nerds, we’ll have to return to more widely-used apps in a matter of days. That said, it’s not impossible for Google to do this. It could, for instance, bundle Allo with Android and reach the majority of smartphone users around the world. Getting iPhone users to follow suit might be a bit of a challenge, but a network effect of many Android users adopting it could cause them to get on board. Google’s Duo standalone app for Facetime-like video calls is cute and all, but I don’t see why I have to switch apps to ring a contact I’m chatting with on Allo. Just integrate it already. And while you’re at it, Google, voice calls would be great too. There wasn’t a good reason to leave this feature out when Duo arrived; the company promised last month to add it in a future release. Now would certainly be a good time to do so. As it stands, Allo isn’t significantly better than other messaging apps out there and it doesn’t have a massive user base with which to attract more people. But of course, it’s worth bearing in mind that we’re only just playing with version 1.0 at present, and it’ll almost certainly improve over time. Hopefully that will happen before people lose interest and move on. What features do you wish Google would add to Allo? Let’s hear your best suggestions in the comments.